This item will ship same day when ordered by 3:00 ET. 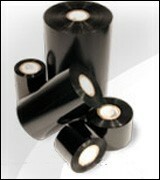 BLANCO offers a complete line of thermal transfer ribbons for all types of printers. Our ribbons offer excellent print quality and good scratch and smudge resistance. They are available in wax, resin or hybrid (wax/resin). In addition to black, we offer a complete selection of color ribbons.